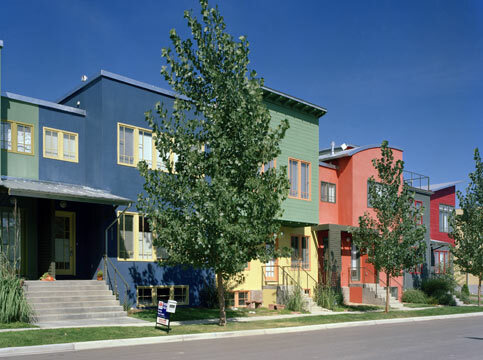 The 8-unit townhome project anchors one of the main streets in a new-urbanism development in Longmont, Colorado. The site includes a prominent street corner and is part of a view corridor to the mountains to the west and farmland to the east. 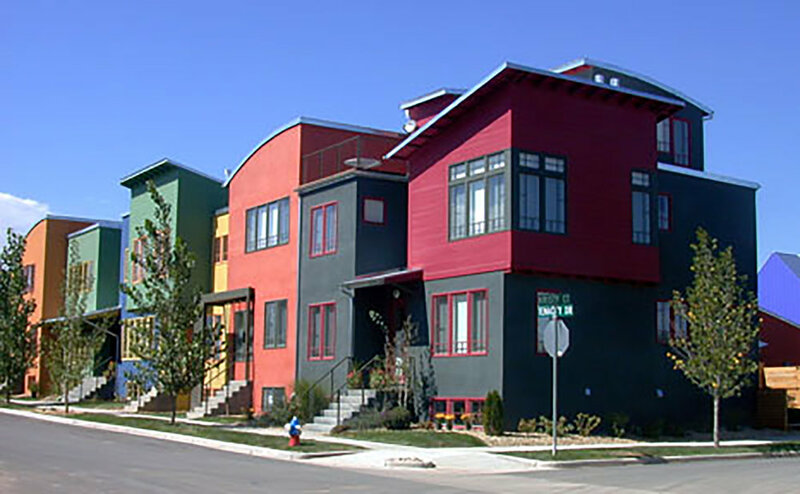 The intent of the design was to create an expressive and dynamic building form that enlivens the streetscape/edge and veers away from the traditional, repetitive townhome design. The building form and massing help to create an intimate residential scale. Unique dwelling unit plan and formal arrangement provide a clear, distinct identity for each unit as well as a defined entrance.